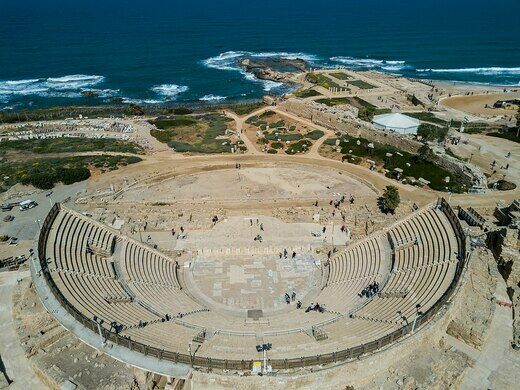 In Caesarea Maritima you can dive in the Mediterranean Sea and explore the underwater archaeological remains of one of the ancient world wonders, the harbor built by Herod—yes, that Herod—in 13 BC. 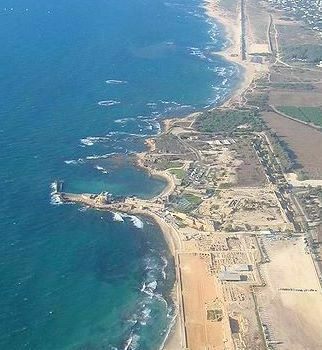 The city of Caesarea was the wealthy and cosmopolitan capital of the Roman province of Judaea. There, Jews, Samaritans, Romans, Greeks, and Syrians lived and did business more or less pacifically for centuries, before the city was conquered and destroyed. Submerged ruins of a Neolithic coastal settlement, where houses, wells, graves and skeletons have been unearthed. 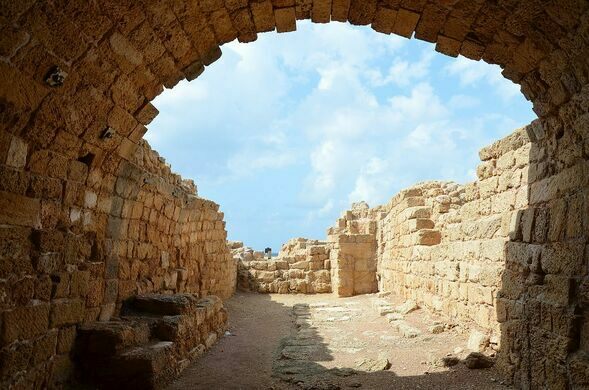 This archaeological site was the center of the extinct Yarmukian culture which developed the first roads and pottery in Israel. 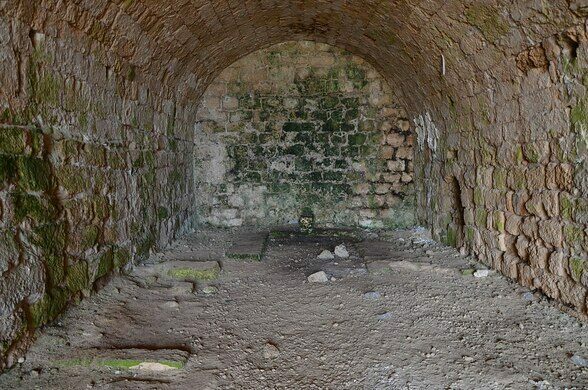 In the 1970s, an underground vaulted room near the port was discovered by a team of archaeologists—one of several similar structures that were probably originally built as warehouses. This one, however, was special: During the end of the first century or beginning of the second century CE, it was converted into the temple of the god Mithras. 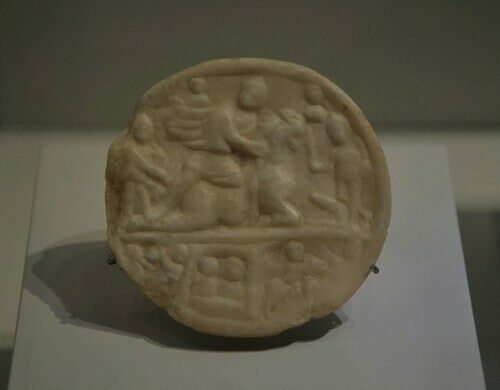 This god, originally worshiped in Persia and neighboring countries, was a recent import in the Roman world, but the mysterious cult rapidly acquired a vast popularity throughout the entire empire, in particular among the soldiers. Temples of Mithras, often called Mithraea, are found from Egypt to England, from Crimea to Portugal, and especially on the legion headquarters along the Roman borders. Most Mithraea are underground or excavated in the rock, so as to represent the mythical grotto in which the god was supposed to be born. They all look alike: a simple, small vaulted room with two benches on the side for the adepts. In the central niche is an altar supporting a relief with the central scene of the cult: Mithras stabs the primordial Bull with a dagger, while some animals—a dog, a scorpion, and a snake, probably representing the constellations— take active part. Mithras was also identified with the Sun and with Apollo in the syncretistic atmosphere of late paganism. While the archaeologists were working on their discovery, they noted a shaft in the vault, from which sunlight shone at midday near the altar. As the days went by, the light ray came closer and closer to the altar, until it shone directly on it on June 21st, the summer solstice. According to the philosopher Porphyry, who probably visited Caesarea in his youth and later married a Caesarean woman, the Mithraists believed that the soul entered the human body at birth and left it at death following the direction of the solstice. 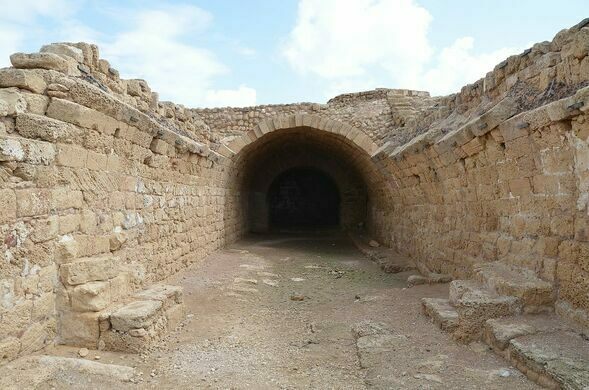 The Caesarea Mithraeum was then a faithful representation of the mythical cosmos! In addition, the direction of the sunset on the summer solstice as seen from Caesarea has an extraordinary property: it passes almost exactly through the small island of Delos in the Aegean Sea, the legendary birthplace of Apollo, and through Delphi, the famous Apollinean oracular center not far from Athens. Further on, it passes through an impressive string of ancient cultic places devoted to the archangel Michael: San Michele del Gargano, Tempio di San Michele in Perugia, San Galgano, Sacra di San Michele della Chiusa, Mont Saint Michel, St. Michael’s Mount, Skellig Michael, and others. In fact, in ancient Christianity Michael was often invoked and worshiped in places where Mithraea have been found, as in Sutri, Heidelberg, Riegel, and many others. Michael killing the Dragon and protecting the souls serves much the same function as Mithras killing the Bull and giving directions to the souls entering and leaving mortality. Painter, R. J. 2000. Caesarea Maritima as starting point for Mithraism, in Religious Rivalries and the Struggle for Success in Caesarea Maritima, ed. by Terence L. Donaldson, Wilfrid Laurier University Press. Bull, R. J. 1982. 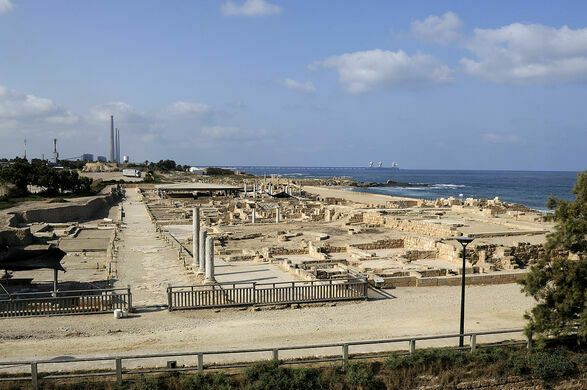 Caesarea Maritima: The Search of Herod’s City, Biblical Archaeology Review, 8:3, pp. 24-40. The world's only official college program focused on "clown therapy."